The Arts and Sciences Alumni Society is a diverse team of passionate alumni who want to mentor students, serve the community and raise awareness of the many great things going on in the College of Arts and Sciences. We know you have talent and heart. You’re a Buckeye! Madeline Khurma, assistant director of alumni relations, to start the conversation. 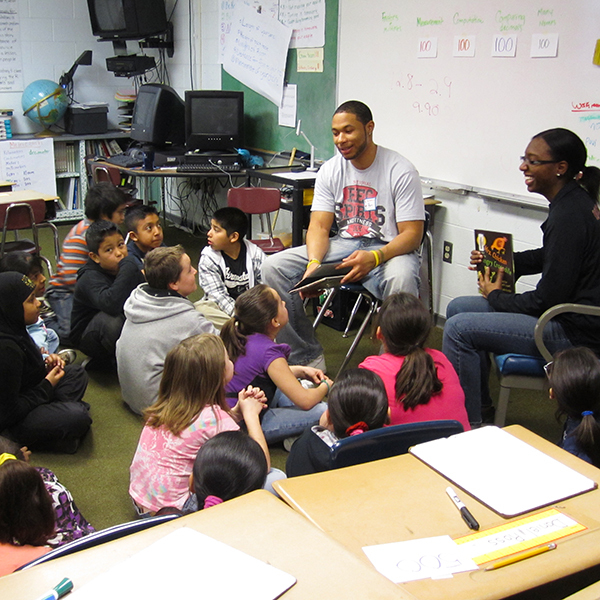 Each year, our alumni get involved in Read Across America, engaging with young students and igniting a passion for learning. We would love to hear about your life after Ohio State. Your achievements and challenges, your thoughts and observations, could serve as an inspiration to fellow alumni, as well as current and prospective students. Learn more about what's happening at the College of Arts and Sciences.